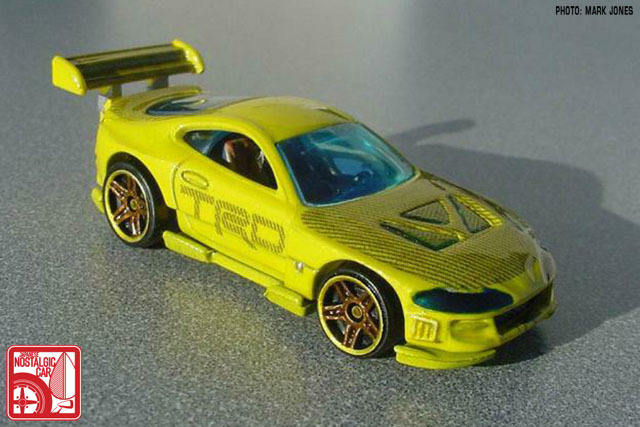 Hot Wheels is undergoing a veritable Renaissance of Japanese automotive legends these days but that wasn’t always the case. 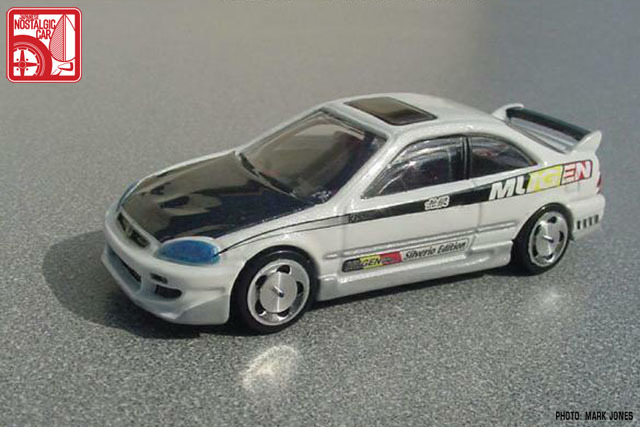 Back in the early 2000s Mattel was barely dabbling in tuned imports, and often they were more Fast and Furious than old school cool. What’s a die-hard JNCer to do? Make their own, that’s what. 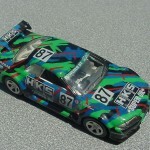 Mark Jones, aka ScaleMaster, is a former designer at Zee Toys and a lifelong modeler. 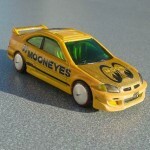 As a kid he would repaint his Matchbox and Hot Wheels cars if they were damaged or came in a color he didn’t like. 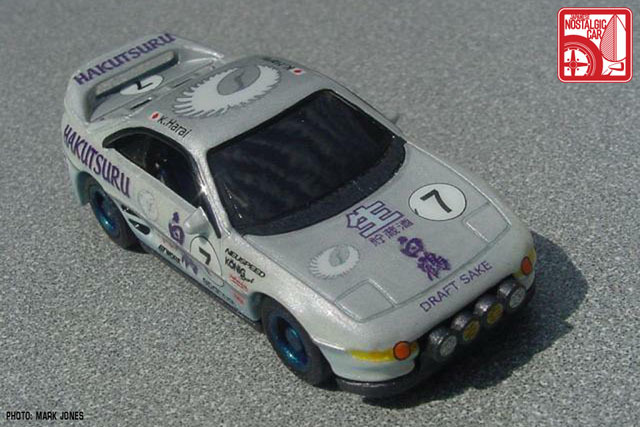 In the late 90s, he began seriously reworking 1:64 scale diecast cars like this fantasy race car based on his favorite sake. 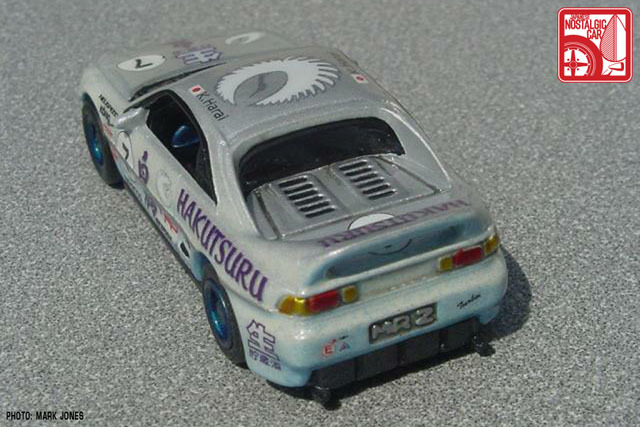 During that decade the real world had seen an explosion in Japanese car culture, but Mattel hadn’t noticed. 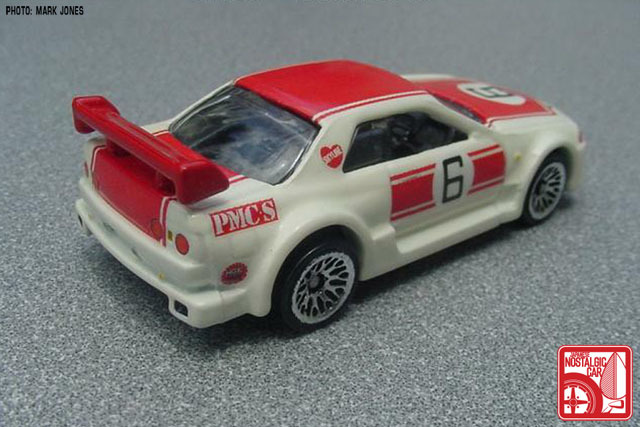 What few Japanese cars they did make were either bone stock or done in decidedly non-tuner fashion, like this Toyota MR2 Rally. 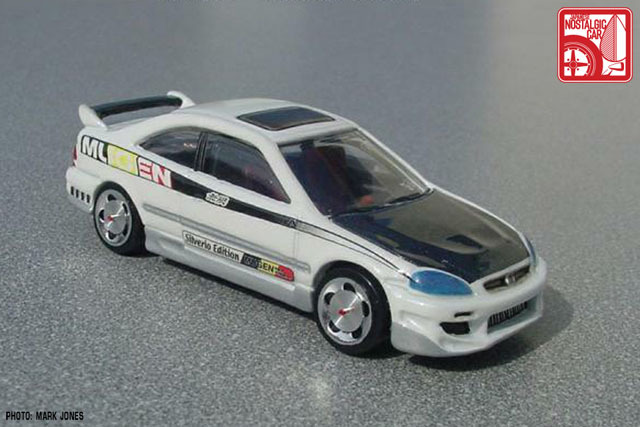 It wasn’t until 2001 that Mattel released the Honda Civic Si, built in conjunction with a Super Street Magazine project car complete with Wings West body kit and Modern Image flame graphics. 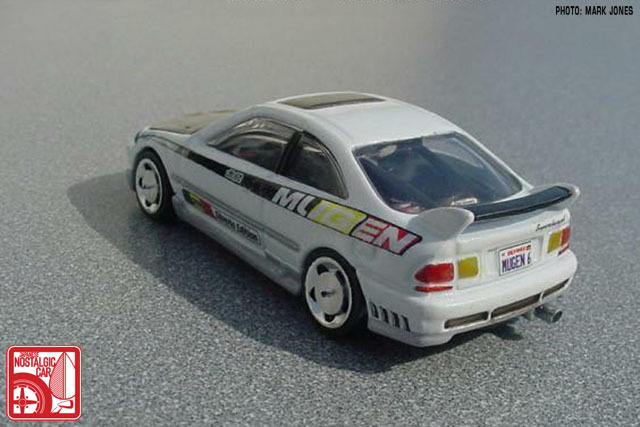 Although some of the gaudier aspects of that car were cast into the body, Mark was able to give it a JDM feel with Mugen livery. 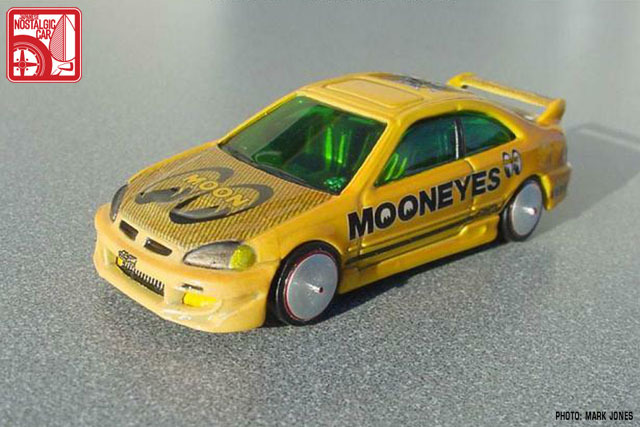 Mooneyes is a cornerstone of the Japanese automotive world, and so I asked Mark to make a Moon-style tribute. This very car was one of the earliest uses of carbon fiber pattern on a water-slide decal. He even made his own Moon Discs which, coupled with the long shadow in this photo, evokes a Moon racer ready to attack the Bonneville Salt Flats. 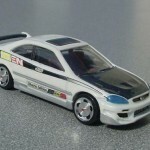 The Civic was followed later that year by the Toyota Celica, loosely based on the Rod Millen Motorsports Ultimate Celica with All-Trac all-wheel-drive drivetrain. 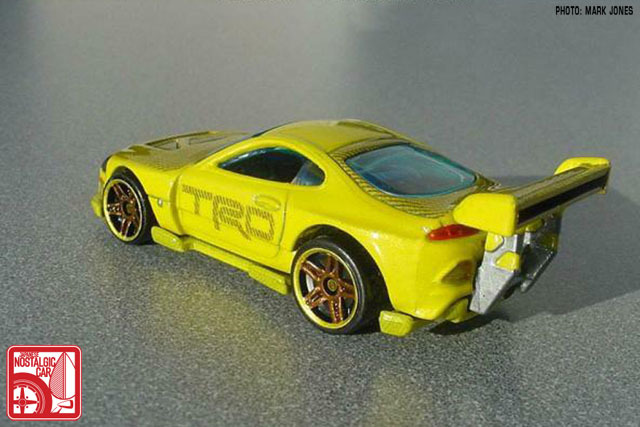 Again, the body kit wasn’t exactly an exercise in restraint but collectors were happy just to have a second tuner car around. 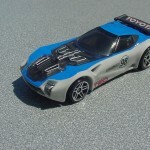 Fans of the Long Beach Grand Prix will recognize these Celicas, customized to reflect the colorful fodder of the Toyota Pro/Celebrity Race. 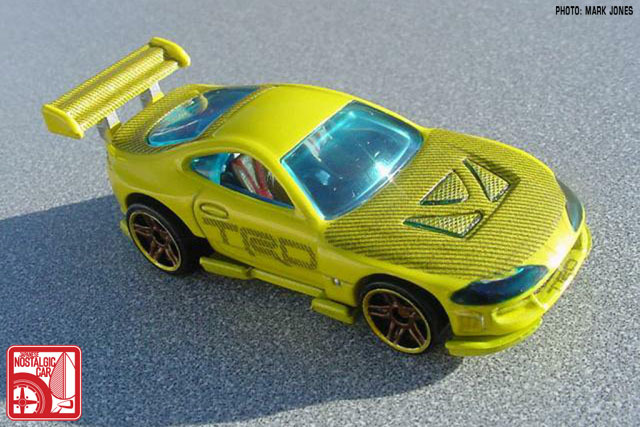 In 2002 Hot Wheels released the Super Tsunami, a car clearly based on the JZA80 Toyota Supra but without the licensing required to use the name. 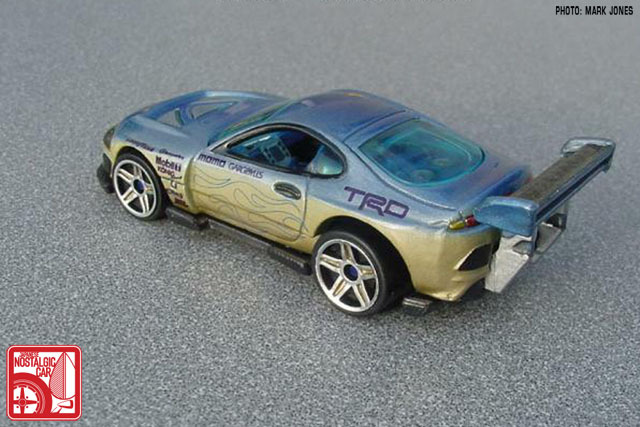 Other cars that fell into this category were the Mazda “24/7” FD3S, Mitsubishi “Seared Tuner” Eclipse, and Honda “Tantrum” S2000. 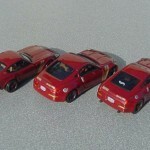 Each had to be just different enough from the real car to avoid the automakers’ legal attack dogs, a task made easy by extreme aero add-ons. Mark typically invests at least a few hours in each custom, spread over several days. 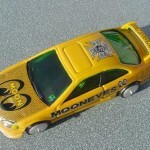 Often he’ll spend more time drawing the decal art than physically working on the car itself. 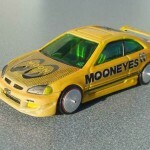 Each car has its rivets drilled out and the body separated from its chassis. 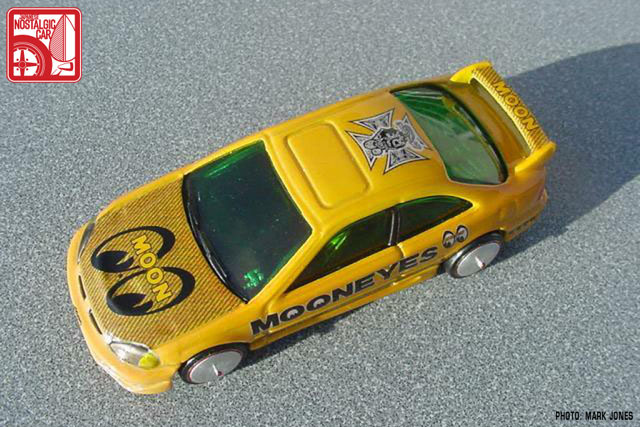 Note the interior detail. 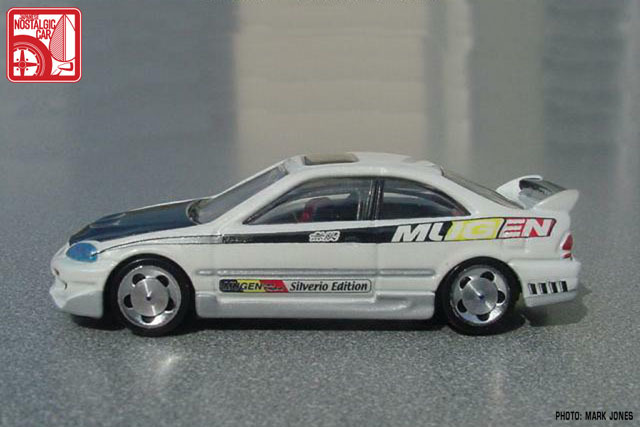 Yes, it was disappointing that real cars weren’t used at Mattel, but the arrival of a genuine R32 Nissan Skyline GT-R, the hottest ticket in the tuner world, did much to assuage fans of JDM. 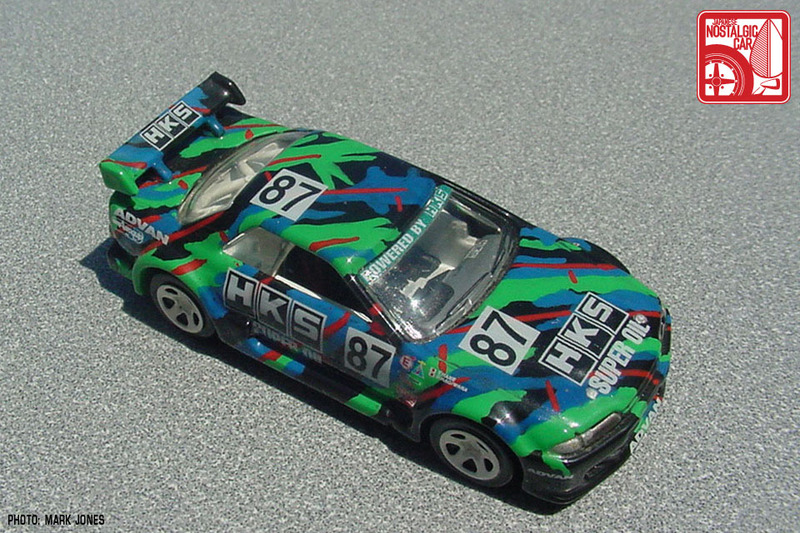 The casting by Hot Wheels designer Alec Tam was based on the real life BNR32 of Japanese tuning house M’s Garage. 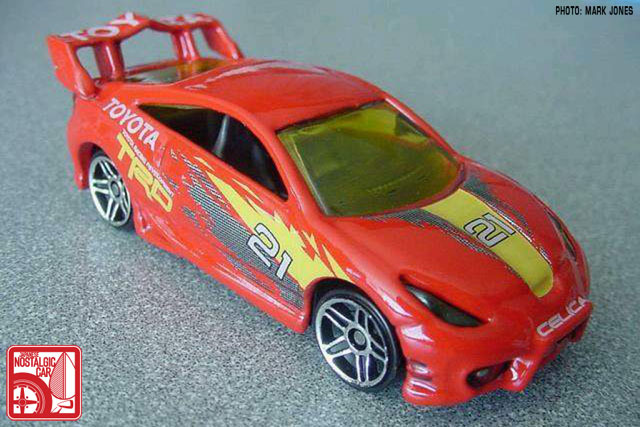 It was done exactly right and became the turning point for Japanese authenticity in the Hot Wheels lineup. 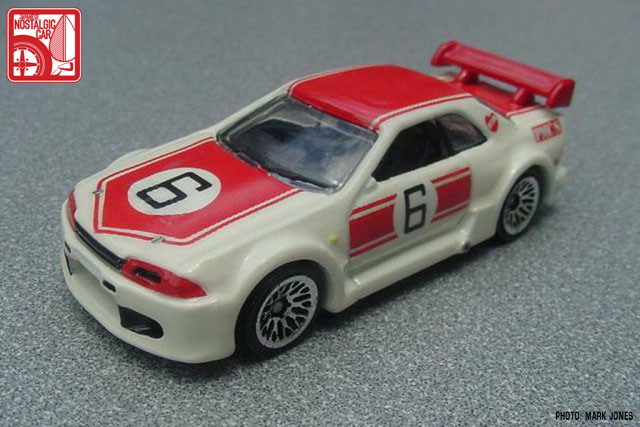 As such, it was imperative that Mark build one in antique white and proper Kunimitsu Takahashi hakosuka GT-R livery. 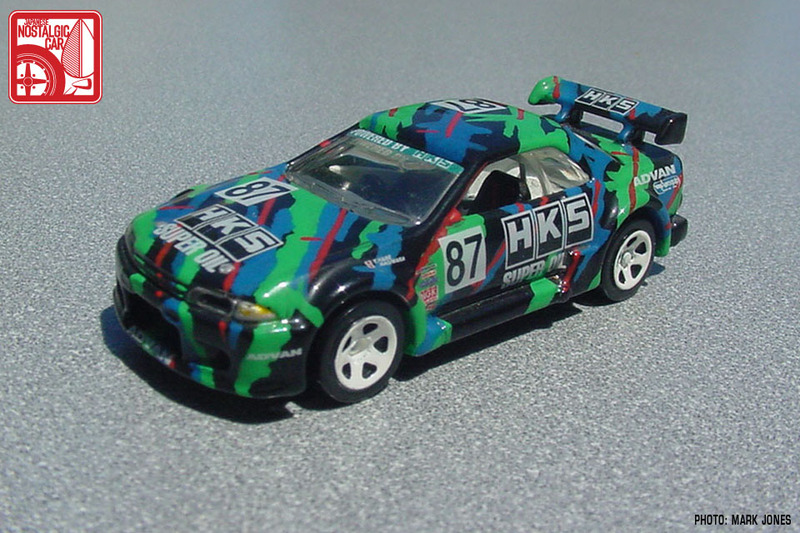 Mark’s also a huge fan of Tamiya model kits and had built a 1:24 scale version of the HKS R32, so was only natural that he build a 1:64 companion for it. 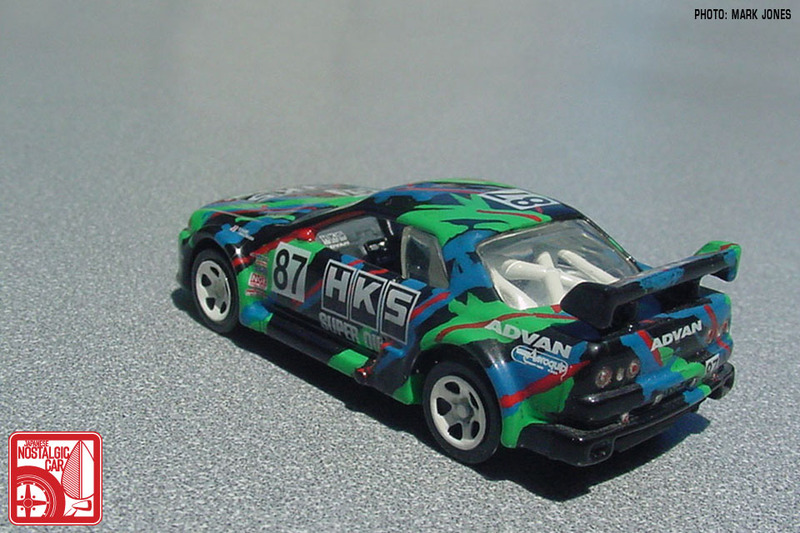 Amazingly, each swath of green, blue and red of the HKS livery is hand painted. 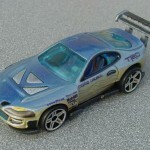 The hood pins are photochemically etched, a process by which a very thin layer of metal is left as a result of chemical reaction. 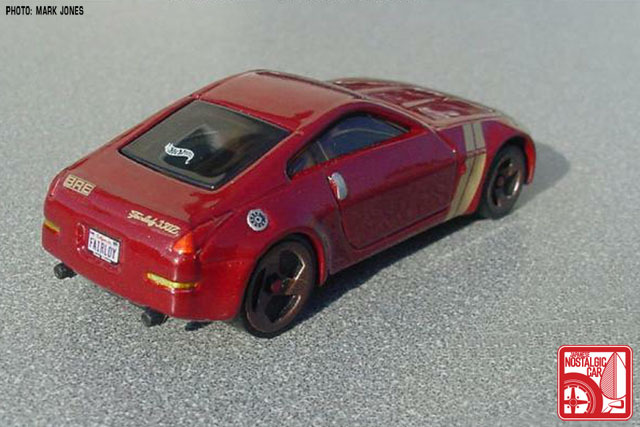 The return of the Nissan Z-car after a six-year absence was a big deal in 2002, and Hot Wheels was on the trigger with the 350Z. 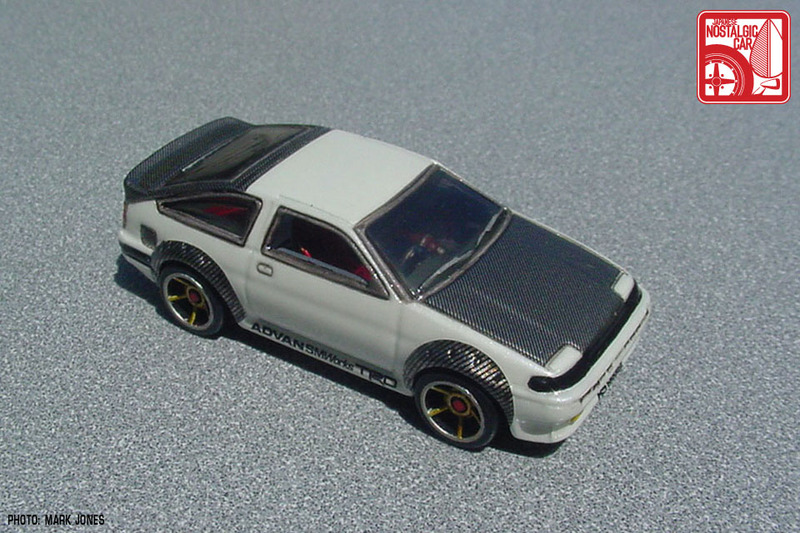 This particular custom was done in the style of a nisei 240Z that one would have seen roaming around LA back in the 80s with blacked-out trim. 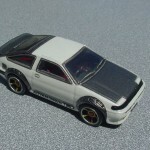 It’s hard to see, but the interior is a US-style tan rather than black. 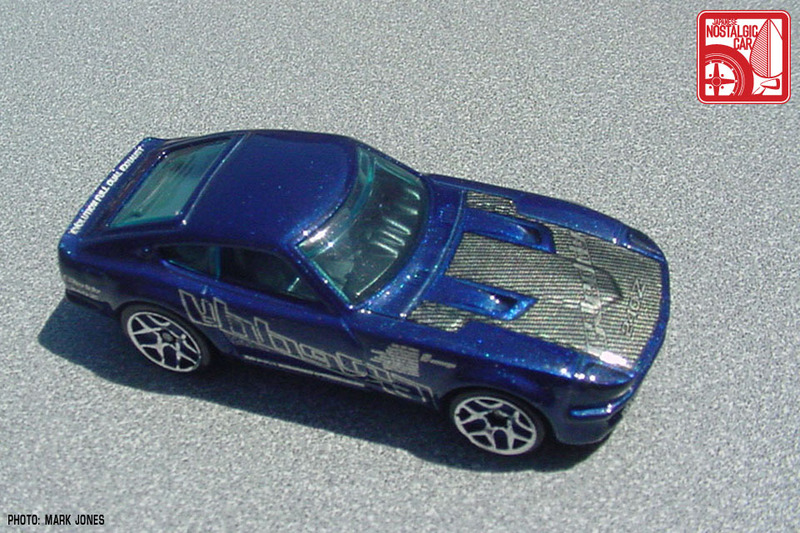 By 2006 a designer named Jun Imai had joined the Hot Wheels design team, and one of his earliest contributions was the Nerve Hammer. 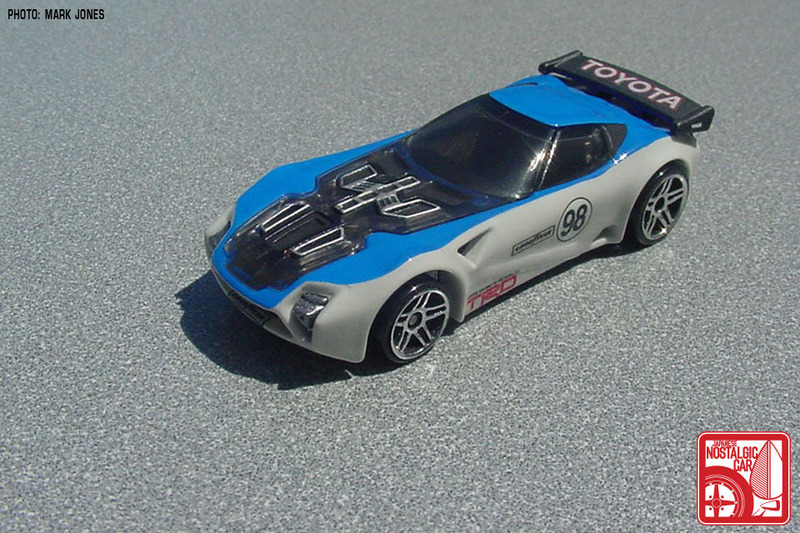 It may look like one of Mattel’s many fantasy castings, but in fact it was a modern interpretation of Mr. Imai’s real-life favorite car, the Toyota 2000GT. Can you see the Nozaki arc? 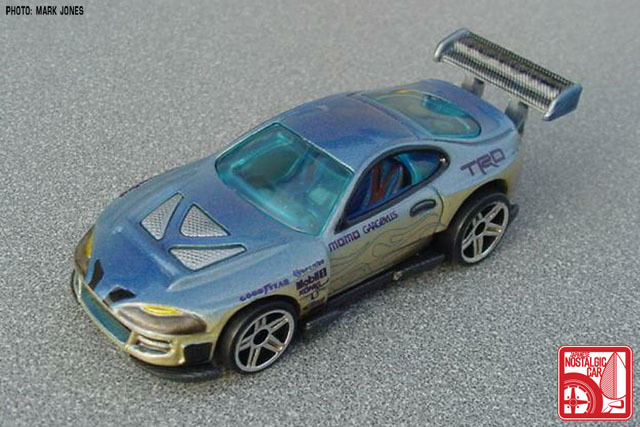 Naturally, Mark’s custom version contains elements inspired by the Shelby SCCA 2000GT. 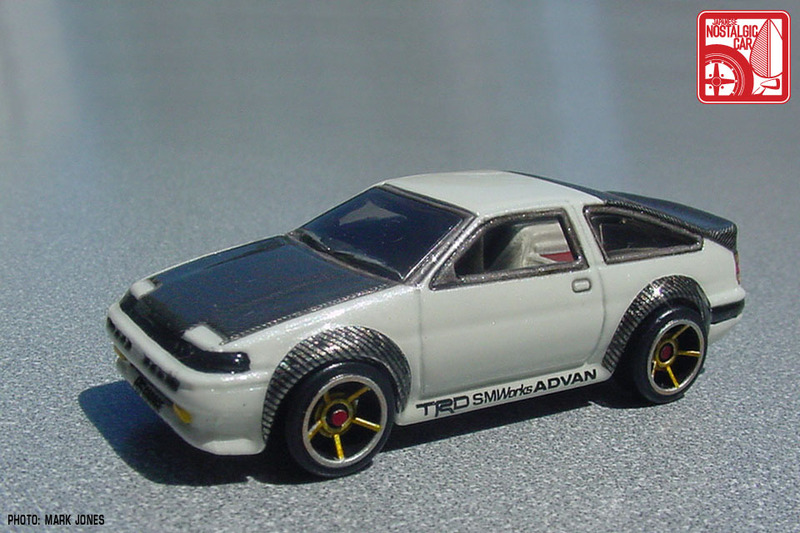 Jun lobbied the higher ups at Mattel hard to include more old school Japanese cars in the lineup. 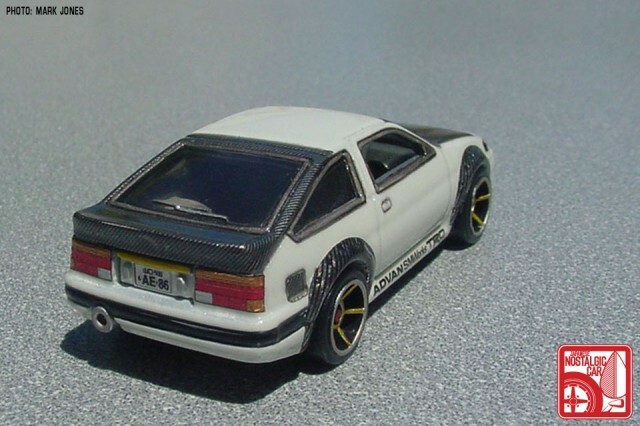 The result was the famed Toyota AE86 Corolla. 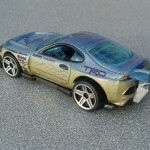 This custom version is done up like a Crystal Body Yokohama demo car, complete with carbon fiber CBY flares. 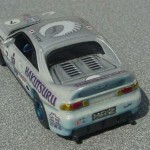 Even the JDM license plate was rendered in amazing detail. 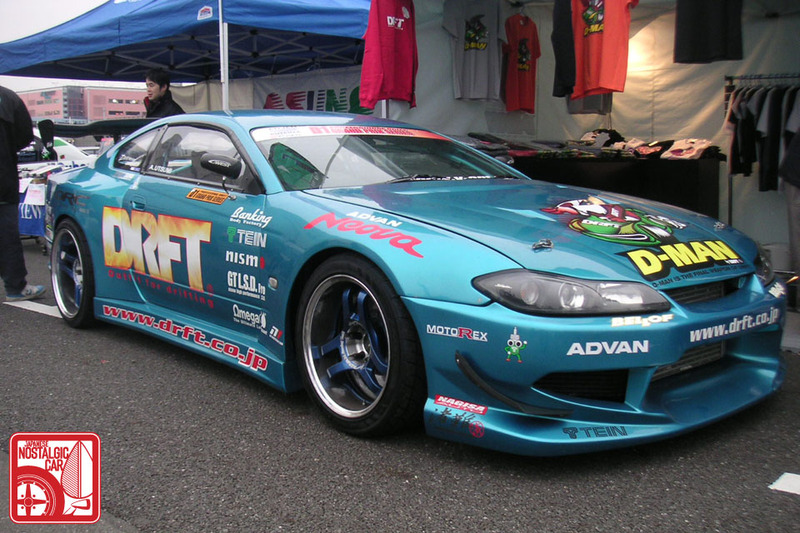 Around this time drifting was reaching fever pitch in the US, so Jun also pushed for the inclusion of a Nissan Silvia S15 inspired by the incredible chop-top C-West DRFT machine driven by Akinori Utsumi in the D1GP. 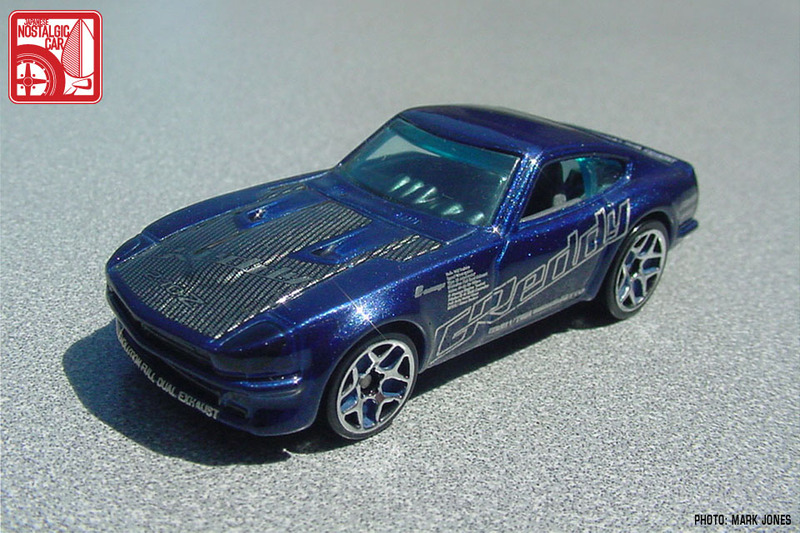 Later that year, the Datsun 240Z appeared to the surprise of many collectors in the Hot Wheels world, especially since the S30-based Z-Whiz had been cast three decades prior. 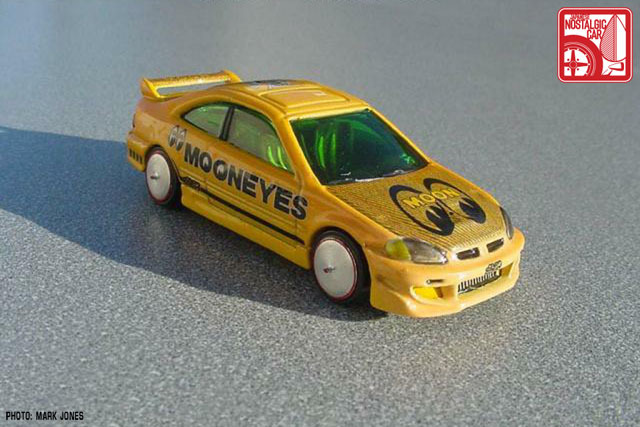 But the tooling for that was long gone and it was a new era for Hot Wheels. 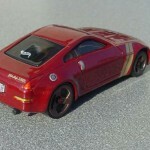 Mark’s custom is a hypothetical 240Z drift car inspired by the livery of GReddy‘s SEMA 350Z. 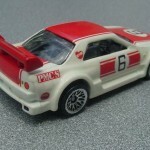 Nowadays, the JNC contingent of the Hot Wheels lineup is growing stronger and more plentiful, thanks to Jun and cars like the Datsun 510, Nissan Skyline, and Mazda RX-7. 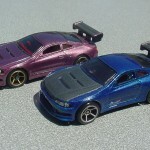 In the upcoming weeks here at JNC, Mark will be using some of these castings in how-to articles, showing you the steps necessary to create your own custom Hot Wheels. In the meantime you can see more of his work at The Lamley Group and in the gallery below. 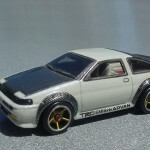 tagged: 2000gt, 240z, 260, 280z, 350z, ae86, bre, celica, civic, civic si, corolla, datsun, fairlady z, hachiroku, hks, honda, hot wheels, kurosawa, levin, minicars, mooneyes, mugen, Nerve Hammer, nissan, r32, s30, ScaleMaster, skyline, sprinter, super tsunami, supra, toyota, trd, trueno, z33. 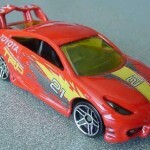 I build in 1/24 and 1/43 so it is really cool to see these Hot Wheels 1/64 builds. 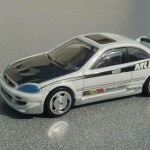 i plan on repainting most of the cars i recently bought. 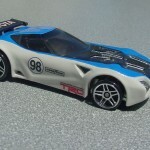 one thing i have been looking for is better wheels to use and how to make my own axles to put them on. life’s just been way too hectic recently. 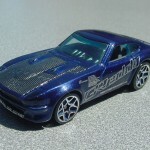 I’ve been using the front wheels off of the Boulevard series. 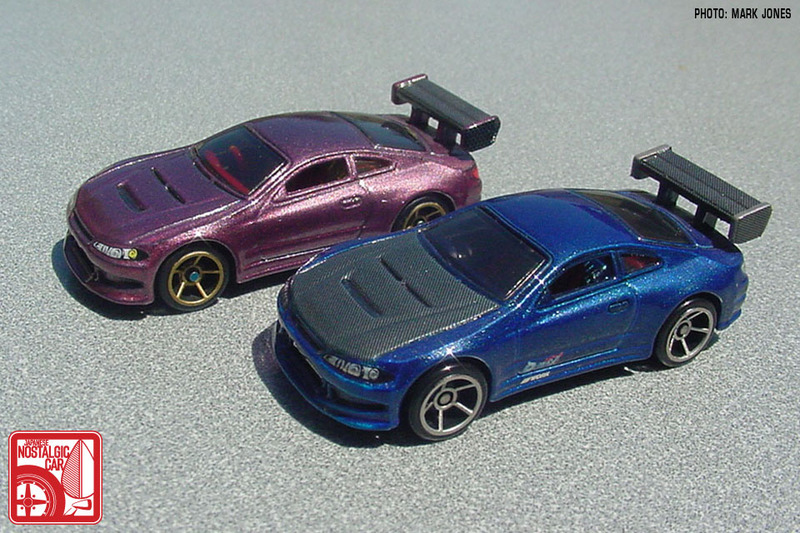 They’re more like Cragar style rims, but they have a deep chrome lip and rubber tires. 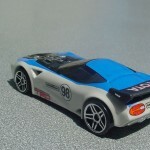 Ill post some photos in the die-cast thread. 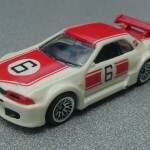 Where, too find a set of 1/64 Wats. 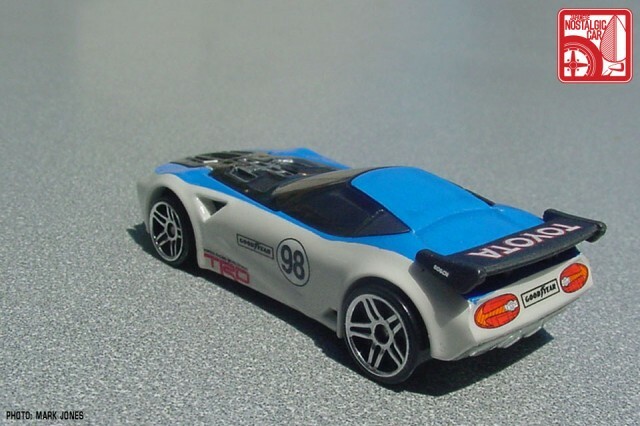 The Hot Wheels Vintage Racing series of 2011 had a number of cars (including the BRE 510 and a number of SCCA Trans-Am cars) which ran Minilite-type wheels. Paint ’em grey and you’re 85 percent of the way there. 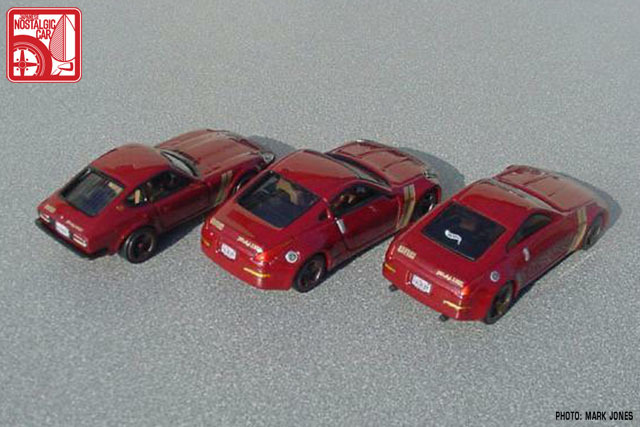 Not perfect, but these ARE three-inch-long cars we’re talking about! 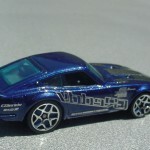 But they are hard to find and somewhat pricey at about $4.50 at Walmart to take apart just for the wheels. 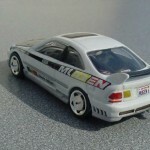 However, the wheels are real rubber tire/plastic rim assemblies; so cool!. 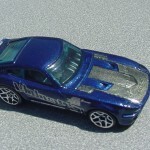 So maybe another area Mattel can branch into: custom parts packs (flares, decals, wings, wheels/tires (yes, even donk wheels), tinted “glass”, better quality interior pieces, etc.) for their regular $1.00 cars! 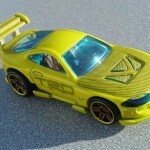 The model car aftermarket could make wheels? 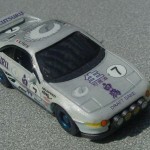 Anyone thought of contacting one of the small businesses that resin-cast low volume parts/cars about making some 1/64 deep dish Watanabes? 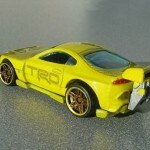 amazing simply amazing, bravo scale master your work is in a league of it own. awesome, gotta get me some of these ones too.. i knew there was others i didn’t know about that were out there.. Damn, some serious passion going on here! 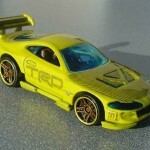 Sad that it took so long for Mattel to get on board with the tuner/nostalgic scene. 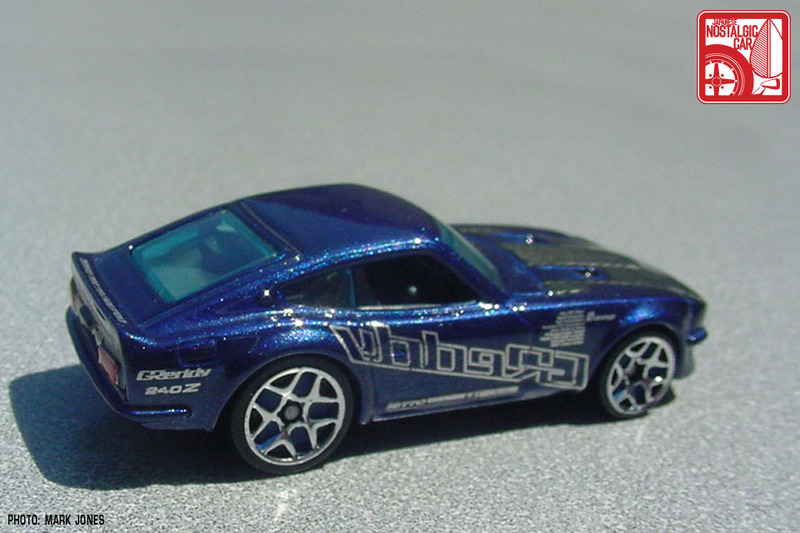 But I would actually blame Matchbox for Hot Wheels finally gettin in the game. 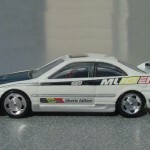 In the 90’s Matchbox released a slew of Japanese cars, in a series (can’t remember the name) that had real rubber wheels, authentic painted lights, finely detailed interiors, articulating suspension and fine paint jobs. 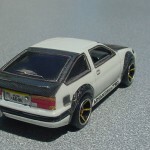 The Mark4 white metallic Supra, was the favorite car in my collection. 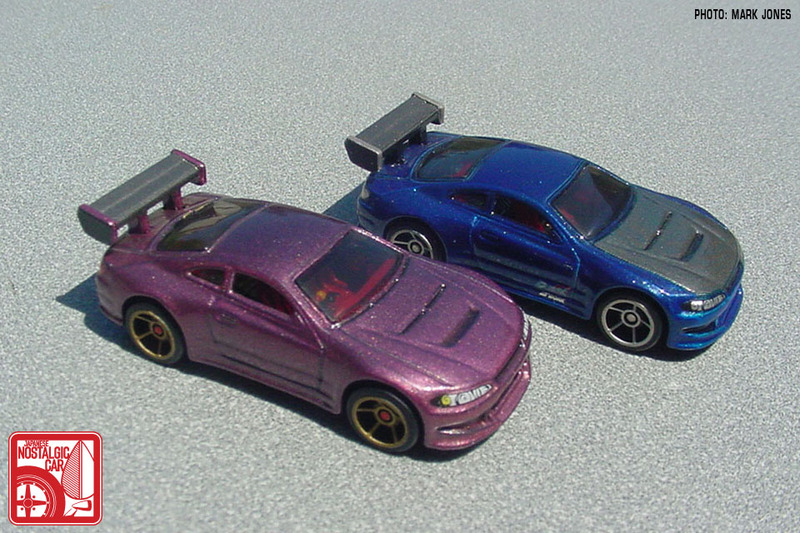 These cars didn’t come in any tuner style, but they were popular enough to force Mattel to get on board in their usual “We must do everything crazier than the competition” style. 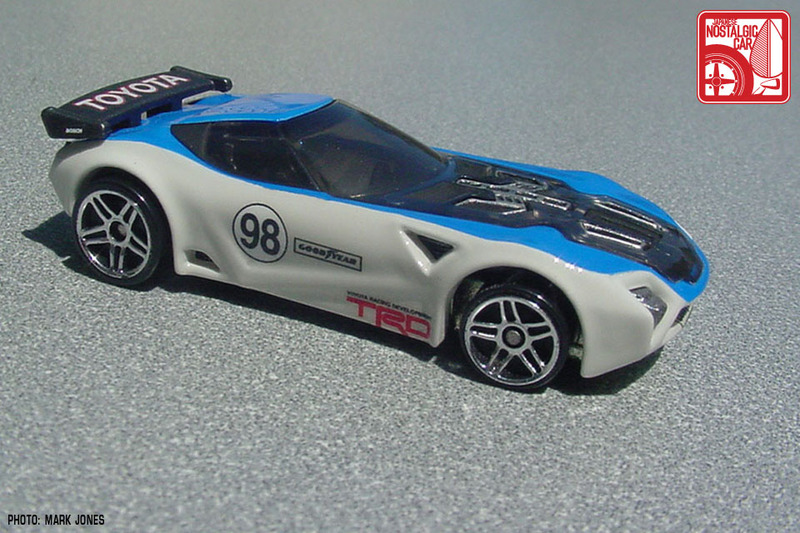 Now the tables have turned, and Matchbox has a very weak lineup, from what I’ve seen! 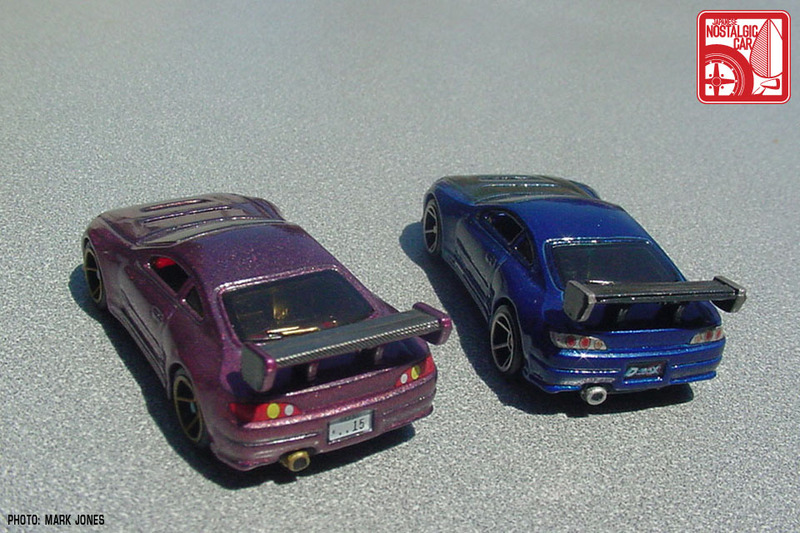 But I don’t shop for little toy cars anymore. Thinking about starting a new collection tho……. 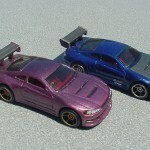 Great write-up and excellent customs! That Ricky Silverio truly is a legend. 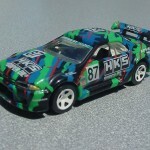 Scalemaster’s attention to detail is unmatched! 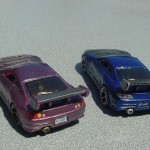 Hey Ricky & Mark those cars look fantastic! 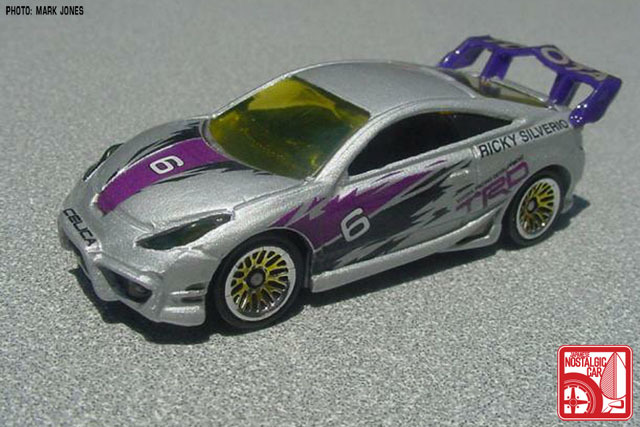 Ricky, where is the Racing Beat Miata you showed me several years ago? 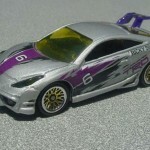 Need to find out how to acquire some of the Celica Pro/Celebrity cars…I was the one who did this graphics for these and would love to get a full set in all the colors. Such an awesome job! Please contact me! There are a few others that would vibe great to have as well.